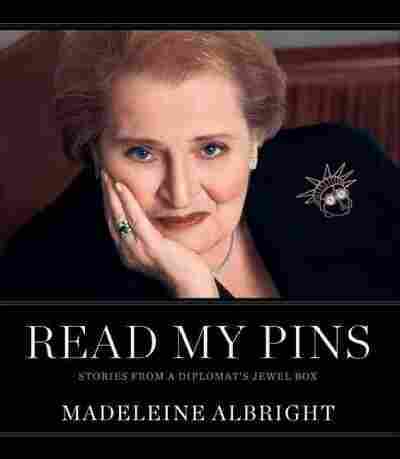 Madeleine Albright's Jewelry-Box Diplomacy In her new book, Read My Pins, the former secretary of state reveals how she used jewelry as a diplomatic tool during her years with the Clinton administration. 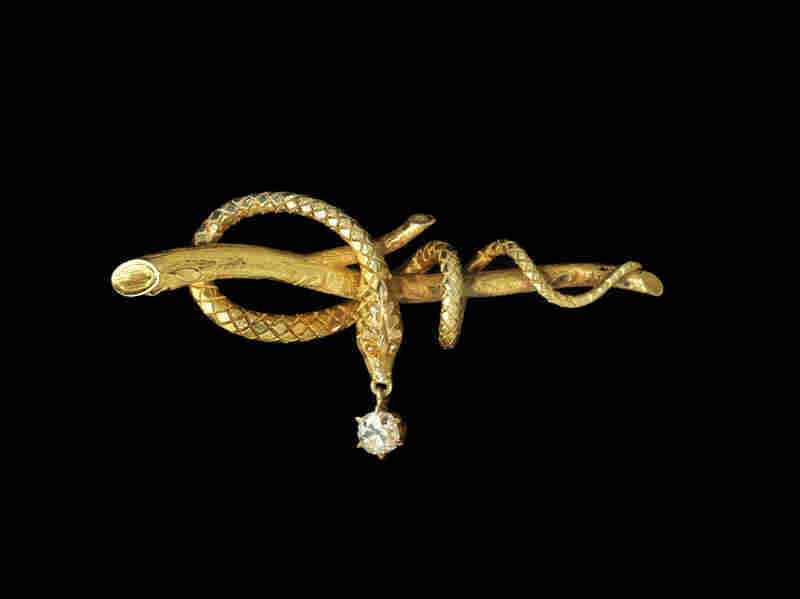 Serpent, Designer Unknown (USA), c. 1860 - For former Secretary of State Madeleine Albright, using pins as a tool of diplomacy started in 1994, when she was the U.S. ambassador to the United Nations. Then-President Saddam Hussein of Iraq called her a serpent. When meeting with Iraqi officials later that year, she wore this antique snake pin as a way to send a message. 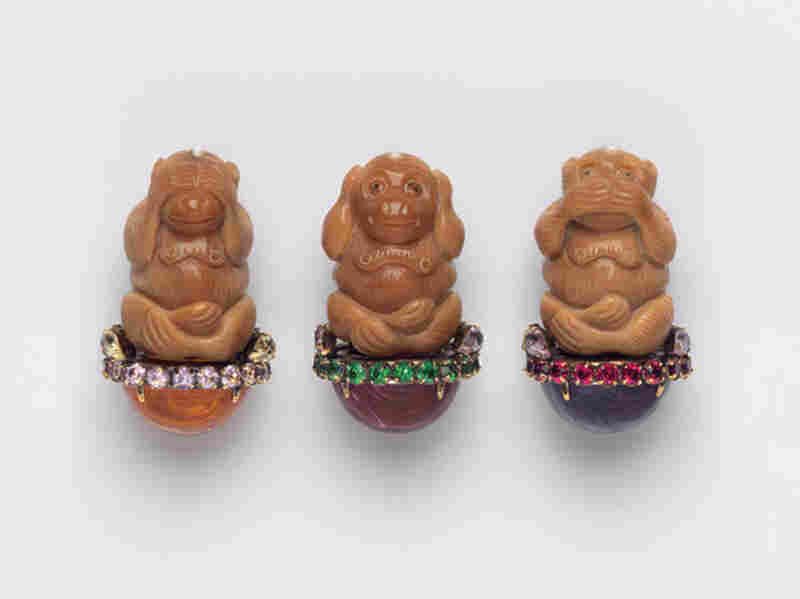 Hear No Evil, Speak No Evil, See No Evil, Iradj Moini (USA), 2000 - Albright first wore this pin in Moscow, for a meeting with then-President Vladimir Putin. The message was about Chechnya, where she felt the Russians were ignoring the human rights violations they had committed. 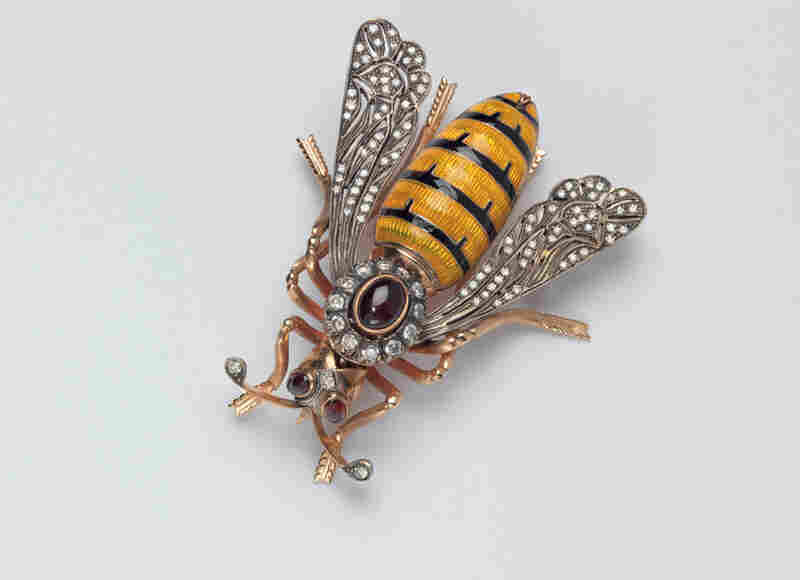 Bee, Designer Unknown (USA), c. 1980 - Albright often wore pins to reflect her mood. Wasps were worn on days that she "wanted to do a little stinging and deliver a tough message." Bug, Iradj Moini (USA), 1997 - In 1999, it came to light that the Russians had bugged the U.S. State Department. The next time Albright met with the Russians, she pinned this giant bug to her left shoulder. 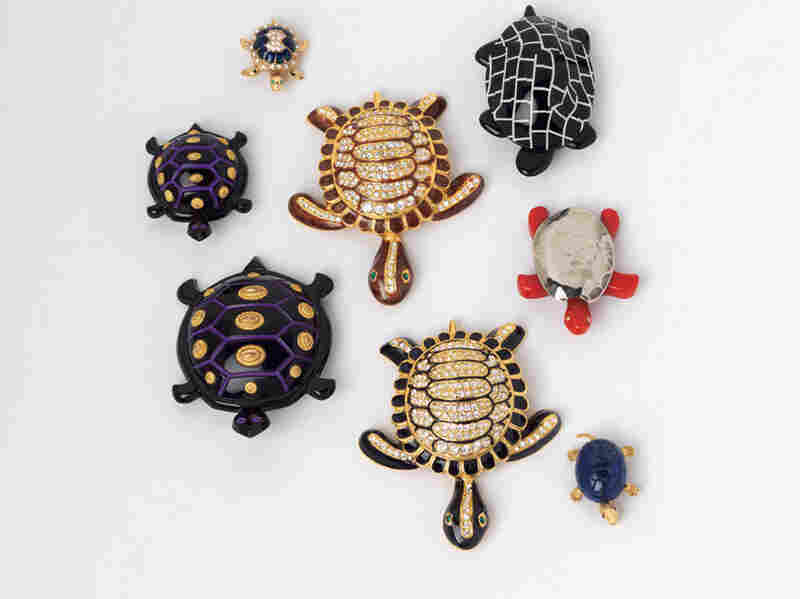 Black and White Turtle, Lea Stein (France), 1990; Small Purple, Black and Gold Turtle, Isabel Canovas (France), c. 1980; Black and Brown Rhinestone Turtles, Designer Unknown (USA), 1997; Blue Rhinestone Turtle, Designer Unknown (USA), c. 1998; Red Turtle, Designer Unknown (USA), c. 1997 - Turtle pins were used to signify the slow progress of the Middle East peace process. 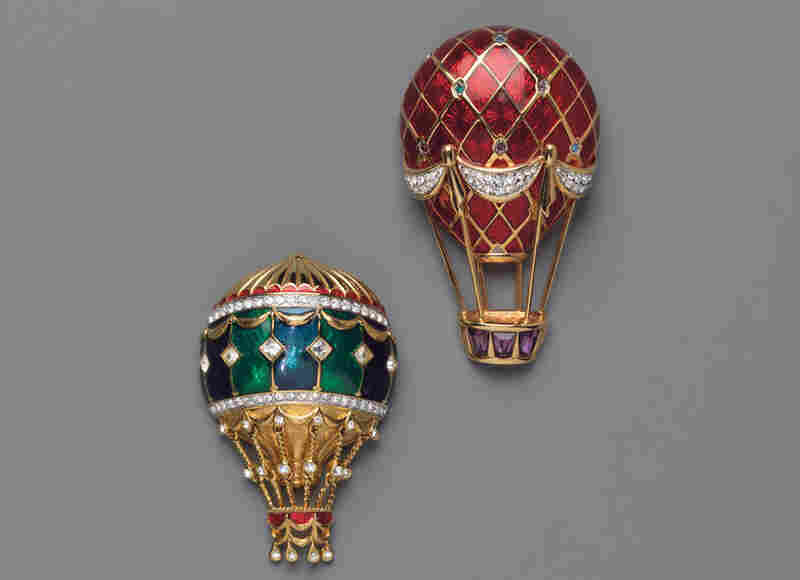 Red Balloon, Swarovski (Austria), 1992; Green Balloon, Swarovski (Austria), 1992 - Butterflies, flowers or balloons like these symbolized that all was well, or that she was hopeful a meeting would go smoothly. 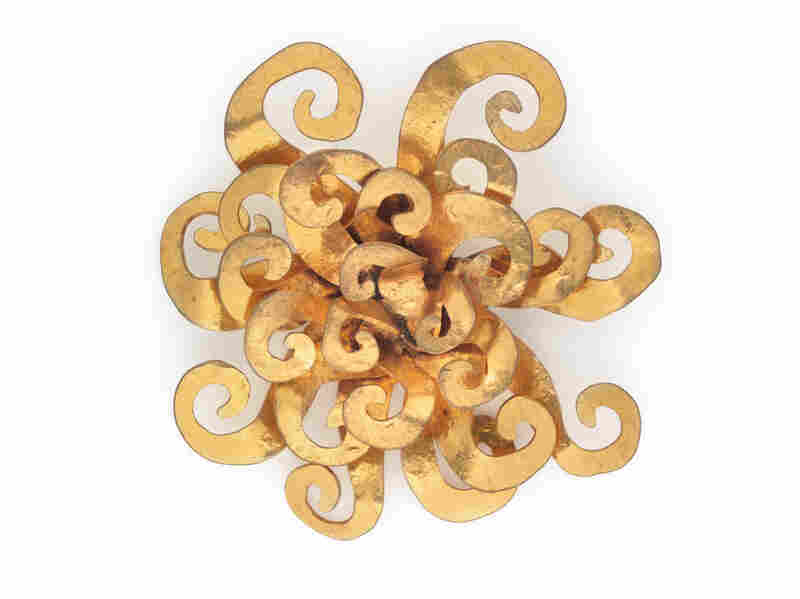 Sunburst, Herve van der Straeten (France), 1987 - At a meeting with South Korean President Kim Dae-jung, Albright wore this sunburst pin as a nod to South Korea's "sunshine policy" toward North Korea. Peace Dove, Cecile et Jeanne (France), c. 1997 - This dove pin was given to Albright by Leah Rabin, wife of Israeli Prime Minister Yitzhak Rabin, who was assassinated in 1995. She wore the pin whenever she gave a speech related to the Middle East. 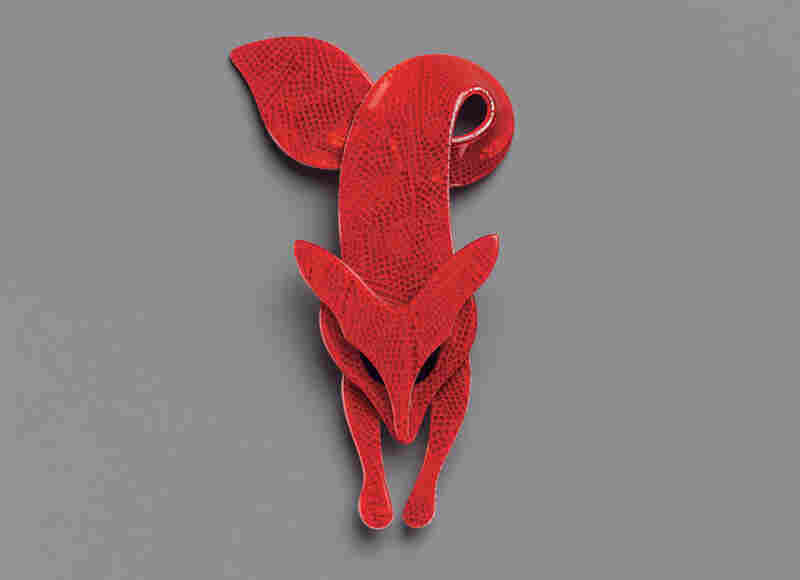 Foxy Lady, Leah Stein (France), c. 1970 - Albright said she wears this pin when she's "having a lot of fun and doing a little flirting along the way." 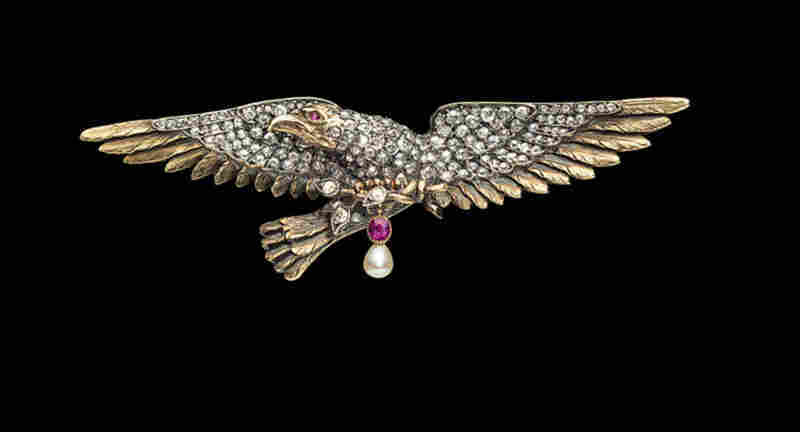 Secretary of State Diamond Eagle, Designer Unknown (France), c. 1890 - This pin almost caused some embarrassment for Albright. She wore it to her swearing-in ceremony as secretary of state. Because it had a complicated clasp, she failed to fasten it properly and, during the ceremony, she looked down to see it dangling from her shoulder. Said Albright, "I was afraid it would fall on the Bible." In her new book, Read My Pins, former Secretary of State Madeleine Albright reveals that she used jewelry as a diplomatic tool during her years with the Clinton administration. "This all started when I was ambassador at the U.N. and Saddam Hussein called me a serpent," she tells Susan Stamberg. "I had this wonderful antique snake pin. So when we were dealing with Iraq, I wore the snake pin." After that incident, Albright decided that it might be fun to speak through her pins. She went out and bought different costume jewelry. "As it turned out, there were just a lot of occasions to either commemorate a particular event or to signal how I felt," she says. There were balloons, butterflies and flowers to signify optimism and, when diplomatic talks were going slowly, crabs and turtles to indicate frustration. 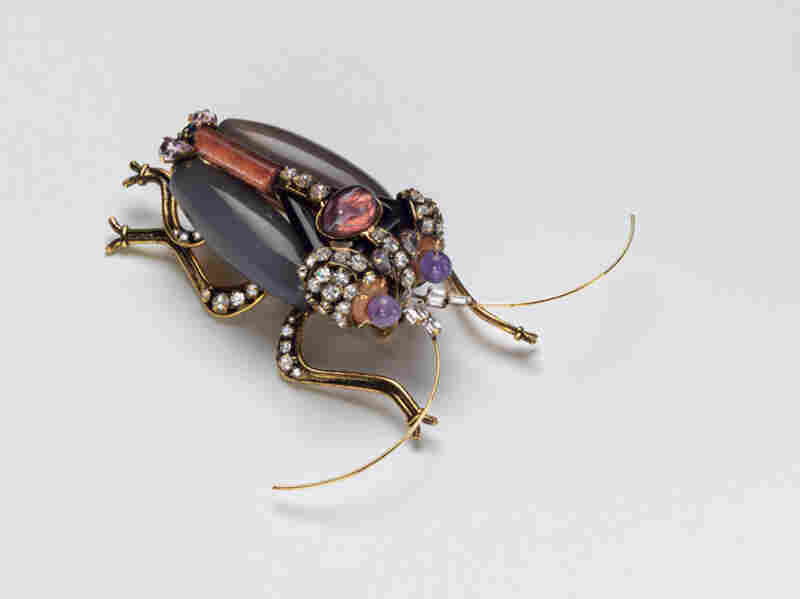 After the Russians were caught tapping the State Department, Albright protested by wearing a pin with a giant bug on it. On days when Albright felt she had to do "a little stinging and deliver a tough message," she wore a wasp pin. The former secretary of state says that one of her own pins — an antique eagle pin with a complicated clasp — nearly sabotaged her at her swearing-in ceremony. "I put it on, and there I was all of the sudden with one hand on the Bible and one hand in the air, and the pin was just swinging in the breeze. I had not fastened it properly," says Albright. "I was afraid that it would fall on the Bible." "You think that the heads of state only have serious conversations, [but] they actually often begin really with the weather or, 'I really like your tie.' "
The idea of using pins as a diplomatic tool is not found in any State Department manual or in any text chronicling American foreign policy. The truth is that it would never have happened if not for Saddam Hussein. During President Bill Clinton's first term (1993 1997), I served as America's ambassador to the United Nations. This was the period following the first Persian Gulf War, when a U.S.-led coalition rolled back Iraq's invasion of neighboring Kuwait. As part of the settlement, Iraq was required to accept UN inspections and to provide full disclosure about its nuclear, chemical, and biological weapons programs. When Saddam Hussein refused to comply, I had the temerity to criticize him. The government-controlled Iraqi press responded by publishing a poem entitled "To Madeleine Albright, Without Greetings." The author, in the opening verse, establishes the mood: "Albright, Albright, all right, all right, you are the worst in this night." He then conjures up an arresting visual image: "Albright, no one can block the road to Jerusalem with a frigate, a ghost, or an elephant." Now thoroughly warmed up, the poet refers to me as an "unmatched clamor-maker" and an "unparalleled serpent." In October 1994, soon after the poem was published, I was scheduled to meet with Iraqi officials. What to wear? Years earlier, I had purchased a pin in the image of a serpent. I'm not sure why, because I loathe snakes. I shudder when I see one slithering through the grass on my farm in Virginia. Still, when I came across the serpent pin in a favorite shop in Washington, D.C., I couldn't resist. It's a small piece, showing the reptile coiled around a branch, a tiny diamond hanging from its mouth. While preparing to meet the Iraqis, I remembered the pin and decided to wear it. I didn't consider the gesture a big deal and doubted that the Iraqis even made the connection. However, upon leaving the meeting, I encountered a member of the UN press corps who was familiar with the poem; she asked why I had chosen to wear that particular pin. As the television cameras zoomed in on the brooch, I smiled and said that it was just my way of sending a message. A second pin, this of a blue bird, reinforced my approach. As with the snake pin, I had purchased it because of its intrinsic appeal, without any extraordinary use in mind. Until the twenty-fourth of February 1996, I wore the pin with the bird's head soaring upward. On the afternoon of that tragic day, Cuban fighter pilots shot down two unarmed civilian aircraft over international waters between Cuba and Florida. Three American citizens and one legal resident were killed. The Cubans knew they were attacking civilian planes yet gave no warning, and in the official transcripts they boasted about destroying the cojones of their victims. At a press conference, I denounced both the crime and the perpetrators. I was especially angered by the macho celebration at the time of the killings. "This is not cojones," I said, "it is cowardice." 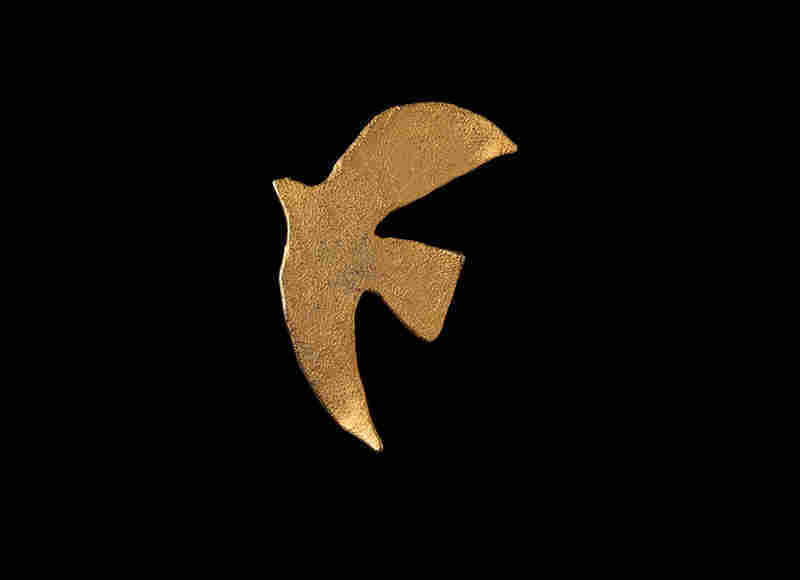 To illustrate my feelings, I wore the bird pin with its head pointing down, in mourning for the free-spirited Cuban-American fliers. Because my comment departed from the niceties of normal diplomatic discourse, it caused an uproar in New York and Washington; for the same reason, it was welcomed in Miami. As a rule, I prefer polite talk, but there are moments when only plain speaking will do. This excerpt from Read My Pins by Madeleine Albridght is used by permission of Harper Collins.